Associates who struggle and fail to fit into an organization’s culture and strategic system will often complain that they were micromanaged and not allowed to do their jobs. Having found myself more than occasionally on the receiving end of that parting shot, I made it a point, with the objectivity of organizational psychologists, to learn more. Was it true or an excuse, and why was it was perceived that way? Over the years I perpetually honed my management style as well as the cultures of the organizations I managed. We had always hired based on various characteristics including as much technical know-how as we could afford. But many people we hired failed to understand that technical know-how is only a start of being a good employee. It take time to develop alignment and paradoxically, often what feels like micromanagement is actually not being managed and coached closely enough. This is especially true in small, high-performance, strategically aligned entrepreneurial enterprises such as the community destination marketing organizations I led. People in these settings must not only work independently but at the same time synchronizing with others within a culture and strategic direction as though they were all one. There is little margin for error so whenever possible mistakes and learning best take place within the organization. By that I mean inside the four walls…not out in the community or with visitors. Reputation management is crucial to sustaining credibility and relevance with external audiences, but far too many organizations either seem to play fast and loose or redirect their energies into looking good rather than doing or being good. To paraphrase an old law school meme, more than technical understanding, success takes good judgment which comes from experience which in turn comes from bad judgment. In other words, learning from failure. In a classic 2011 article in Harvard Business Review, organization behavior researcher Dr. Amy Edmundson broke failure down into a spectrum. At the blameworthy end were failures due to deviance, inattention and lack of ability while failures due to uncertainty about the future, hypothesis testing and exploratory testing fall at the praiseworthy end. Process inadequacy and task challenge fell in the middle. Unfortunately, people quick to complain about “micromanagement” are often still on a steep learning curve and/or don’t see failure and coaching as a pivotal part of learning. Worse, they don’t take responsibility for their failures. Researchers such as Dr. Carol Dweck have found that the ability to view failure as just a part of learning is a mindset gleaned by the third grade. Regrettably, many people come into the workforce with a fixed mentality, resistant to not only critical thinking and teaching, but going so far as to view questions as criticism. They contribute to the 51% of the workforce who are “not engaged” in their work (just putting in time,) according to Gallup, as well a fair proportion of the 18% who are “actively disengaged” and working to undermine workplace. Last year, researchers at Michigan, UNC-Chapel Hill and Harvard found that when we take personal ownership of our failures we are much more likely to learn from them and work harder. Last January, in a speech to the students there, the president of Brigham Young University argued that any quest for perfection should place the emphasis more on “quest” than on perfection. The ability to learn from mistakes and failure as well as soak up feedback and make adjustments are propensities similar to character, all of which are best inculcated between birth and the age of 8. Non-cognitive factors, such as perseverance, motivation and grit are tough to teach or learn in school, let alone the workplace. This is true even when reading and applying science in books such as John Medina’s Brain Rules: 12 Principles for Surviving and Thriving at Work, Home, and School. Hint: men learn best when given the gist, women want details. As with so many issues such as poverty and academic achievement, things such as this get gridlocked in the “chicken and egg” divide between those who argue that it is an issue of capacity and those who view it as individual responsibility. In my experience, the solutions are both/and with far to little emphasis in society, it seems, on the latter. I parted ways with an good friend yesterday. We had only been together for a little more than six years. It may be a sign of how tightly I firewalled my professional life from my personal life that when we first became acquainted many people seized on the relationship as part of my identity. Or was it just that people found us seemingly such an odd couple, a community marketer and a biker. My departed friend is a Harley-Davidson Cross Bones. I had always wanted to learn to ride a motorcycle so at the age of 61 I went at it with purpose, learning to ride and enjoy what are called heavy bikes. The curb weight of a Cross Bones when outfitted like mine is just north of 750 pounds. That means with my weight and gear and occasionally a passenger, I had to learn to balance and maneuver as much a half ton. The urge to learn to ride was instilled while riding behind a close boyhood friend on his mini-Honda Trail 50 in the early 1960s. Having said goodbye to the “Bones,” we have a new challenge now, or better said an old one. It is a well-maintained 1985 Century Mustang II inboard-outboard bow-rider roundabout boat that we keep at the nearby lake where we spend a few days each week. When I was about 9, I first learned to water ski behind an old plywood boat that was powered by a little 35 horse power Evinrude. The one we have now is closer to the one my parents had in the late-1970s. It came to me while writing this bit of memoir that I often left activities behind during my career. I don’t know about you but I’ve often wondered about the seeming association of activities such as this with place and time and why we leave some behind and take up others. For instance, I left downhill skiing skiing, tennis and water skiing behind when I moved from Spokane to Anchorage in 1978 although there was ample opportunity for both in each city. Downhill and Nordic skiing were actually more accessible in Anchorage with several areas right in the municipality including Alyeska, a resort 40 miles from downtown that has been ranked among the top 25 destinations. Big Lake lies a few miles across Knik Arm from downtown Anchorage but 60 minutes by highway skirting that waterway. The “bridge to nowhere,” would have actually had a destination. Similarly I carried on a love of nature photography when I moved from Spokane to Anchorage but then left it behind when I moved to Durham in 1989. Part of the reason, I guess, could be that a person’s career tends to intensify over time, at least the way I went about mine. Or is it just that our leisure pursuits become more ambitious? Another reason is that my job in community marketing meant that when I wasn’t showcasing activities such as these, I was spending my time thinking about how to do it better. But about five years before I retired when I gave notice to my governing board and the community, my mind opened to what I would be able to do when that time came. I started going down the list of what I had been postponing doing such as learning to ride a motorcycle, learning to fly an airplane, digging into family history and researching and writing essays such as these. During my four decade career and into retirement has been the overarching dream of spending time lakeside. Now that that time has come, for as long as I’m able my leisure, physical and intellectual activities will revolve around the lake, which is just fine with me. I can always rent a bike from time to time. My degrees were in history and political science. I also studied law. But my career was in marketing; or more specifically, the marketing of communities. Fortunately, my collegiate exposure to marketing was a theoretical survey course using the provocative teachings of Harvard’s Dr. Theodore Levitt. So I always had a much different, and many would say provocative approach to community destination marketing than my DMO peers, who over-relied on the components of traditional sales and advertising. Results would suggest far more successful too, than those who over-relied on the components of traditional sales and advertising. Far too many still do today, which is puzzling. This post may help young community marketers avoid what had been termed “marketing malpractice” by the time I retired nearly six years ago. A lot about marketing has changed during that span. Maybe it intrigues me as to why many DMO execs aren’t keeping up because my intellectual curiosity hasn’t yet retired. Marketing includes the elements of sales and advertising but it fundamentally differs in its overall purpose. Myopically, to use one of Dr. Levitt favorite words, “selling” customarily has focused on the needs of the seller. Many use the term relational “selling” today but then still pretty much focus on what “they” have to sell rather than what the customer needs. This is confirmed in this age of waning attention spans when so many lazy practitioners desperately seem to only know how to “yell” louder and louder. Marketing weaves these and five or so other components into a blend designed instead on creating and satisfying customers, according to Levitt, which means “un-creating” customers for your community if that means directing their attention to destinations more suited. A longitudinal study at USC determined in 2010 that traditional advertising now has an overall negative return of investment but that its decline began three decades ago, a decade before the Internet was made available for public use. Still, many of those who bothered to read the study theorized that the demise of advertising was due to the Internet or the fragmentation of media or even clutter, meaning a proliferation of too many ads. From various studies he has graphed that attention to even television ads had plummeted from 97% of viewers in 1990 to fewer than 2 in 10 today, even though ads are more than 75% shorter in length. Attention to ads was plummeting long before the Internet was an alternative and had fallen by nearly half when TiVo, the first DVR device that enabled ad-skipping was introduced in 1999. This was also long before mobile devices divided the attention of the 44% of viewers who multitask into even thinner slices. Illustrating the desperation of advertisers, including most that are oblivious to the drop in attentiveness, is that during that span the cost per 1,000 primetime viewers has skyrocketed from $18 to nearly $200 per view, while the quality of attention has severely degraded. It’s not unlike the rationale one my friends argues on behalf of billboards, a long-obsolete medium. But this calculus fails to take into account the turn-of to turn-on ratio of ads. Yup, and a few people only buy print magazines that are purposely laden with ads. 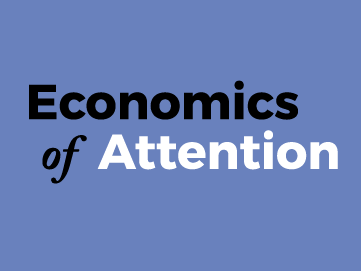 But attention today, and for several decades now, is something you earn rather than demand. It is about “them,” not “you” and “yelling” about your product, your community, your brand is a turn-off even when you try to be cute and entertaining. Trust is the key to earning attention and “you must build trust before you need it,” or want it. A former classmate of mine at BYU who is now renowned Harvard business professor by the name of Dr. Clay Christensen, argued several years before I retired that the paradigms of marketing itself are broken and must be reconfigured beginning with the way we segment customer prospects. He shows how any communication under the umbrella of marketing, including advertising, must, in the end, show consumers what “job” they need to hire your product or community to do, exposing the flaw in communities that try to be appealing at everything, only to find they have sold their soul. I will continue this primer in the next post by reviewing why techniques such as advertising, not just roadside billboards, are now so obsolete. While one of the most broadly acclaimed communities in America, Durham, NC where I live seems to be dawdling its way to one 15 year-old best practice only in fits and starts. Before I get to the theory of why that is, as given to me this week by a landscaper friend of mine, let me share why even this practice requires yet another layer of best practice to be truly effective. While Durham has dawdled, some cities are closing in on fulfilling a goal to plant 1 million new trees. The movement stems from a goal by then Republican Vice President George Bush in 1991 encouraging Americans to plant 30 million trees. He was bucking popular members of his party and some Democrats who had the convoluted notion that trees cause pollution. In some cases they can, but science before and since has clarified that trees are crucial to regulating climate. Deforestation hawks eventually undermined the initiative but it inspired many cities and states to take up the cause. Tree hawks eventually stalled state initiatives but many cities forge ahead. Most notable is New York City which faced much more daunting challenges than others. Many cities were doomed when they tried to do it on the cheap using only donations and volunteers while failing to factor in ongoing maintenance. 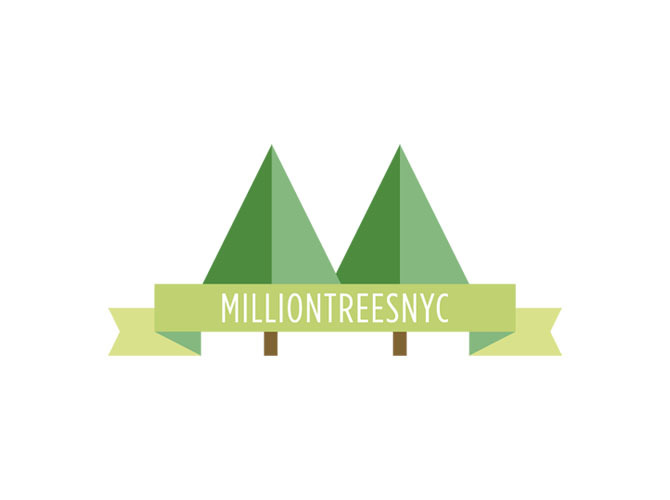 However, NYC began with research in 2006 and 2007 to quantify both its municipal trees as well as the overall tree canopy across all five boroughs. Then the city set an ambitious goal to plant a million new trees, 70% of which would be on city property such as along streets and right-of-ways, parks and public housing while rallying another 30% planted by homeowners, landlords, apartment complexes, businesses and non-profits. But what makes the NY program truly stand out is that it not only incorporated caring for the trees into the initiative but worked with nurseries and growers to provide supplies of quality trees that would be sustainable in order to truly optimize long-term benefit. An effort this strategic is only possible when elected officials and administrators weave it throughout each agency and department as well as understand the need for intensive, unrelenting data-based marketing communications. The folks at Deep Root have calculated, in part by using i-Tree, that to plant a million trees using the right kind of trees with proper planting and maintenance will generate a $25 billion return over 50 years compared to a minus $3 billion if done improperly. Only when leaders grasp that trees are a form of infrastructure is this type of commitment likely. So why are so many other cities such as Durham failing to catch on or mount a concerted, strategic effort such as New York? My landscaper friend believes it is we all in general, including elected leaders and administrators, even the one-percenters, make the same strategic mistake at home. Even rich people put $100,000 into landscaping but then balk at paying a $100 a month for maintenance. These same people also insist on overplanting to create a short term impression and expressing shock when it inevitably must be thinned and then, over time, ages out and must be replaced. It isn’t just governments that often don’t get it. While opinion polls in Durham show a high regard for tree canopy, the reality is that we don’t understand nor are we led to understand the true cost of things. So many taxpayers complained at the $16 million cost of building the Durham Bulls Athletic Park only to be flabbergasted when it costs another $20 million to refresh it after two decades. Part of the problem is that we, as the general public, don’t get it. But we also don’t have leaders who deluding themselves don’t educate us. In fact, many play into our ignorance by fostering resentment of government and taxes without revealing that we will be cutting off our nose to spite our face. Durham leaders may eventually catch on and fully embrace its coveted tree canopy. If and when it does, hopefully we do it right and learn from NYC. Why is he so grumpy, some readers are probably muttering? Hey, I spent a good share of my heart and soul defending Durham but that never stopped me from shining a light on areas where I believe we must improve. It’s funny how some people get when it comes to how much other people get paid, so I was curious when Harris polled Americans about perceptions of what school teachers make where they live. Six in ten Americans consider teaching a prestigious occupation, with 21% holding it in high esteem compared to 10% who feel it is not prestigious at all according to an earlier Harris Poll. Eight in ten would encourage a child to pursue teaching, double the proportion that would encourage being a member of Congress, for instance. Perceptions of teacher pay have changed since I was in high school 50 years ago. At that time 42% of Americans perceived their local teachers were paid too little and 2% thought it was too much. Today, more than half of Americans believe local teachers are paid too little while 8% believe they are paid too much. The perceptions vary by region, urban vs. rural and, of course, political philosophy, but maybe not in the way you might think based on Tea Party rhetoric or the influence they appear to have had on lawmakers in some states. Conservatives, overall, are five times more likely to believe teachers are paid too much compared to liberals. No surprise. But they are also more than twice as likely as moderates to believe this, although these days ultra conservatives often seem to fail to distinguish liberals from moderates. A greater percentage of rural Americans hold that view, but news to many lawmakers where I live is that only 2% of Southerners think their teachers are paid too much, while a national high of nearly 7 in 10 in the South think teachers are paid too little. The stinginess is also not about resentment of institutional burdens on taxpayers vs. what individual teachers are paid. Southerners are also more likely than Americans in other parts of the country to believe that not enough is being spent on public schools overall. Surveys such as these illuminate the growing disconnect between the lavish news coverage of Americans who are either fiscally and cultural angry or estranged, and that given to the opinions of Americans as a whole. In the days before texting I had friends, who even after email had become common via mobile devices, would always call or leave a voice mail message when they needed something or had a question. It typically involved a document or some research finding. So I would fulfill the requests quickly via email to leave a paper trail, but these individuals would invariably call again for clarification. That is unless they disagreed with the information I had sent or something our organization was doing predicated on the findings, in which case they would write a lengthy email neglecting to include the background and copy a trillion other people, now understood as a cardinal sin. Boy, I sure miss that drama. But don’t jump to the conclusion that they had a learning or reading disability. 1. Many people no longer read; 2. Even more prefer to shape decisions and opinions on anecdotes and personalities rather than data and information; and 3. Very few are paying attention to the future or evolving. In community work, like business and government, the world is awash with dead or dying organizational models which are kept on life support by people either addicted to those behaviors or overly conscious of those still all-too-prevalent conditions. Only, I was on the quasi-public-private side of things. Still, according to some, I exhibited all 7 characteristics of evergreen entrepreneurs to some extent in the five different startups with which I was involved and/or led. I enjoyed startups because you not only get to build an organization from scratch but you get to evolve each one by quantum leaps each time. During the last half of my career, I learned to do this every few months with the same organization. Nextsensing doesn’t come from “group-think” exercises such as brainstorming which, as studies have shown, is a pure waste of time unless accompanied with a very healthy dose of critical thinking. Unfortunately, most people who facilitate or are drawn to the “kumbaya” school of brainstorming seem averse to thinking at all, let alone critically, because to them, asking questions is criticism. An even more compelling reason these plans are now ineffective is that true strategic insight, strategic foresight or “nextsensing,” must be woven into the DNA of an organization in such a way that it occurs organically in real time. Earlier, in 1988, de Geus termed this as “institutional learning” in an article in Harvard Business Review. He explained that this type of learning is much more difficult than individual learning. 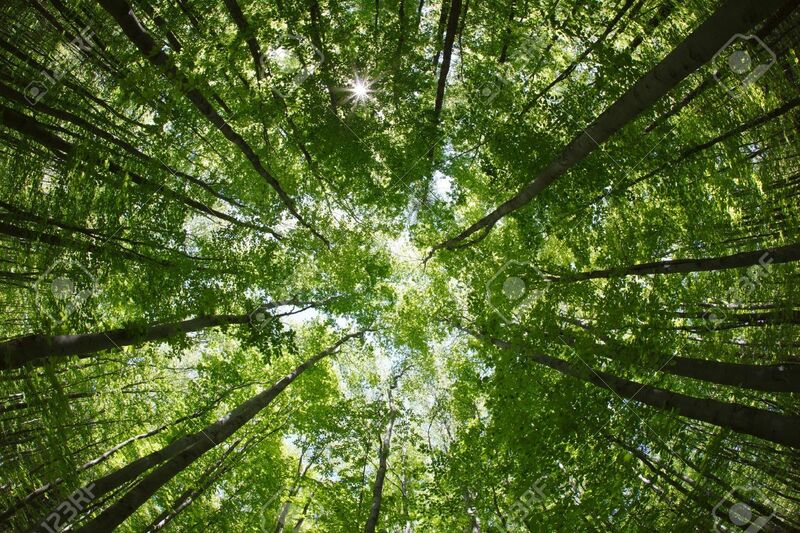 Organizations that are “evergreen” outperform those that are focused only on near-term returns. According to studies, de Geus explains that they “institutionalize change” rather than reacting to crisis. In the past, even evolving organizations could afford to gestate learning anywhere from 12 to 18 months before acting on it. Today, that evolution must be in real time. Stretch Sensibilities – A mindset and commitment to exploration. Stand for Change – Set new directions and adjust priorities. Create a new Order – Retool the enterprise to set new goals and trigger actions no one else has set or achieved. Lead with “Foresense” – Transform hunch to vision and new skills. In late 1970s, Bert Lance, a banker and native-Georgian who headed the Office of Budget and Management for then President Jimmy Carter popularized the expression, “If it ain’t broke, don’t fix it,” an old Swedish proverb. No even remotely sustainable organization has that luxury today. Last spring, after reading one of my posts referencing urban trees as a form of green infrastructure, a friend of mine in high office tried gently to break the news to me. This reminded me of a hilarious response the editor of the now defunct Business 2.0 gave to me when I tried, in my former role, to explain that Durham and Raleigh are distinct communities and metro areas. No wonder the magazine went out of business in 2007. Actually, opinion polls have long shown that Durham has nearly the same awareness level as Raleigh even though the latter has the advantage of being memorized as a state capital by nearly all school children. But the role of the community marketing organization I led at the time was to raise that awareness, especially among prospective visitors for which Durham would be a good fit, while aiding those for whom it wouldn't, to seek alternatives. Yes, community marketing is not missionary work, but I digress. Likewise, the general public’s recognition of “green infrastructure” will take time and rely on awareness generated by local governments. To be fair, it wasn’t until about two decades ago that the term “green infrastructure” began to be used in government circles, although it had been taught as part of planning and administration long before that. EPA is working hard to further this understanding and I would think that Durham officials will soon catch on. But more importantly, will they realize their responsibility to educate residents in this regard? Equally pertinent, will they accept stewardship for not only government-owned trees here but the broader tree canopy? Will they finally execute a study to quantify that value? But as Washington Post science journalist, Chris Mooney, suggests, the quantification of ecosystem services (“blending concepts from ecology and economics”) may be missing the even greater benefit of trees and other forms of green infrastructure to public health. Ecosystem services are things such as provisioning food, regulating services such as water purification, or cultural services such as sense of place or aesthetics. National Parks, for instance, generate $10 into the economy for every $1 invested by taxpayers, including tourism, but they also pull or sequester $580 million of carbon out of the air annually. As Mooney did in this week’s column about a proposal by Harvard’s Dr. E.O. Wilson to set aside for our own sake half of the earth’s land area and 70% of the ocean in the form of nature reserves, he often covers research that deepens the connection between health and nature. I’ve always been healthy but I am arguably healthier now than I’ve been in more than 40 years. Wherever I’ve lived in Durham over the last 26 of those years, I’ve been surrounded by forests, nowhere more than where I live now. The lots where I split my time, one in Durham and one on a nearby lake each have more than 100 trees alone which obviously contribute to my feeling younger. Lets see now, research has recently shown that tree cover, not just government-owned trees but the entire tree canopy of a community, has an impact on public health, public works, taxable property values, crime reduction, social services, economic and neighborhood vitality, mental health, air and water quality etc. Maybe they aren’t a form of infrastructure which is defined as the basics needed for the operation of society. They are much more important than that. You can’t grow up in the tiny Yellowstone-Teton nook of eastern Idaho that noses up between Montana and Wyoming as I did during my formative years on an ancestral cattle ranch, without being constantly aware that it will happen again. There are 40 distinct geologic formations there, but dominant is a huge volcanic eruption that took place there 2 million years ago. That was the largest in a chain-reaction of eruptions that began 17 million years ago in the southwest nook of Idaho near its borders with Oregon and Nevada. Sweeping to the northeast, the eruptions worked their way up what became the 400 mile Snake River Plain, which widens from 30 miles to 125 miles as it reaches my native nook where in the shadow of the Rockies that stupendous eruption created an alpine bench above the plain. A much smaller eruption in that chain created the Yellowstone Plateau just 600,000 years ago and a crater, or caldera, as large as Los Angeles. Five miles below its surface is a volcano of molten rock the size of Mount Everest, one of 10 Super Volcanoes in the World. It will blow again someday and the consequences will be felt globally. But a far greater imprint on my youth was a river formed from springs that filter through the Yellowstone Plateau where it leans on my native nook of Idaho, called the Henry’s Fork. It surfaces at the Rocky Mountain Continental Divide just 10 miles from the headwaters of the Missouri River on the other side: the waters of the former destined for the Pacific and the waters of the latter to the Atlantic. It is impossible to describe how beautiful this area is, especially the first 70 miles of the river’s 127 mile length, so I’ll just link to this video. This is the part my parents crisscrossed when they first brought me home from the hospital. We crossed it to provision in Ashton, to and from school and church, to watch my dad play softball in the evening down near Chester and for Sunday family dinners along with my with my aunts, uncles and cousins down at my grandparent’s house in Saint Anthony. The Henry’s Fork is where I learned to wade and explore, catch frogs and fly fish, as well as experience the transformative, spiritual influence of nature. I rarely return, maybe every 20 years or so, but the Henry’s Fork never leaves you. It is really more like five different rivers in that first half of the river from where a huge spring turns to a river within a hundred feet, through forests, winding across the pastures and native grasses of a caldera, down through steep canyons creating three huge water falls. Along that stretch it collects creeks such as Buffalo, Elk and Robinson and rivers such as Warm River and Fall River which cascading out of the southwest corner of Yellowstone known as Bechler Meadows. Herds of Elk “summer” in the meadows there and further up the Henry’s Fork, migrate just above and below the ranch my great-grandparents settled to “winter” at wildlife refuges at Camas and along Sand Creek. Just beyond Saint Anthony, the Henry’s Fork breaks into channels becoming more like a large, inland delta as it collects the Teton River west of Rexburg and before joining the South Fork as it flows down out of Palisades to form the Snake River north of Idaho Falls. The portion of the river so important to my formative years is between its headwaters and the Vernon bridge north of Chester. Most of that time was spent exploring a half mile of riffles and runs located in the tail waters between the Ora bridge and the Ashton Dam. We crossed the Ora bridge almost daily for one reason or another. It is near there that my parents first met when my dad stopped to pull my mom’s family out of the gravel roadside’s roadside borrow pit. When it was erected in 1911, the reservoir created by the Ashton Dam and the Ora bridge installed below it shortened the route to town for my rancher paternal great-grandparents and grandparents. In the 1940s, its owner the Utah Power & Light Company brought my maternal grandfather and his family there for a few years to operate the dam. The Henry’s Fork earned a reputation in the west for fly-fishing among enthusiasts in the 1930s but in 1975 I just may have had a hand in gaining it worldwide renown. Before, during and after the Expo ‘74, a World’s Fair for the Environment in Spokane, I worked to help start a community destination marketing organization to leverage and build on the success of the event. Part of our job was to interest outdoor writers in story ideas and pre and post trips related to the event as well as laying the groundwork for hosting the Outdoor Writers of America national convention. Spokane, Washington hosted the six month affair, in part because of its proximity within a day’s drive from so many the Pacific Northwest’s great rivers, lakes, national forests and parks, including the Henry’s Fork. Who knows? The effort may have even planted or germinated the seed for an article written in Sports Afield magazine in 1975. The article appeared during my first year as the DMO’s chief exec entitled, The Best Dry Fly River in America—The Henry's Fork, written by Ernie Schwiebert. Schwiebert, who passed away in 2005, was already a legend and respected author and illustrator. As an architect, he took advantage of his business travels to scout fly fishing streams. He had also influenced the founding and growth of a conservation group called Trout Unlimited. Now 150,000 members strong with 400 chapters including one named for Ernie, this past year alone Trout Unlimited protected 1,400 stream miles and 7.8 million acres of land while reconnecting over 570 miles of spawning and rearing habitat and restoring over 140 miles of river. But within a few years of Ernie’s 1975 accolade, worry spread among residents along the Henry’s Fork about its sustainability and by 1983 they coalesced in the formation of the Henry’s Fork Foundation. Watershed organizations such as this were extremely rare back then and unheard of in eastern Idaho. A relatively short river, the Henry’s Fork watershed still generates an incredible 2.8 million acre-feet of water supply each year including shallow groundwater. For us lay folks, an acre-foot of water is 325,900 gallons. About 59% of that flows downstream into the Snake along with 29% in the form of groundwater outflow. The remainder is consumed for irrigation, expanded for domestic, commercial and industrial use or lost through evaporation. One of the major economic drivers of this nook of Idaho is tourism and recreation including fishing, which relies on consistent seasonal flows along the river. So the rub, even where there isn’t a drought, is to calibrate use of the river over the course of the year so that it is healthy, bio-diverse and economically viable for all uses. At issue is irrigation, not because of overall consumption for that purpose, which has been stable since the 1970s, but because of the way it has changed technologically. Rather than relying on snowmelt, it now relies primarily on groundwater recharge and discharge. Officials everywhere often make the mistake of thinking of surface water and groundwater as different but it is all related. Actually, rivers are crucial to groundwater and groundwater outflow is crucial to rivers. They are inter-related. Along the Henry’s Fork, about 24% of the groundwater is recharged by rain and snow. Another 9% comes from stream seepage and 38% from seepage from canals. Another 29% seeps back into groundwater when the irrigation is applied. But irrigation technology has challenged areas along the river, resulting in too much in low areas and not enough in others. Idaho, as well as North Carolina where I live, are very conservative states. But unlike a regressive wing of conservatives in North Carolina, lawmakers in Idaho, part of the more arid west, seem to know better than to tamper with water quality provisions. Idaho also better understands, out of necessity, the importance of collaboration. This includes close collaboration between federal and state agencies as well as collaboration between non-government organizations such as the HF Foundation, water users, landowners, businesses and other stakeholders working together as the Henry’s Fork Watershed Council. Over the last few years, state and federal agencies have re-worked a management plan for the Henry’s Fork watershed. They have distilled of more than 50 options in the areas of surface storage, groundwater recharge and water conservation, down to 12. None of the options involve rolling back water quality standards as we apparently just did in North Carolina to please special interests. The final product is a tactical plan for achieving strategic objectives in the future. It is well worth reading and emulating. There is a bright future for the Henry’s Fork River. The river continued over the last four decades to rack up accolades for fly fishing.